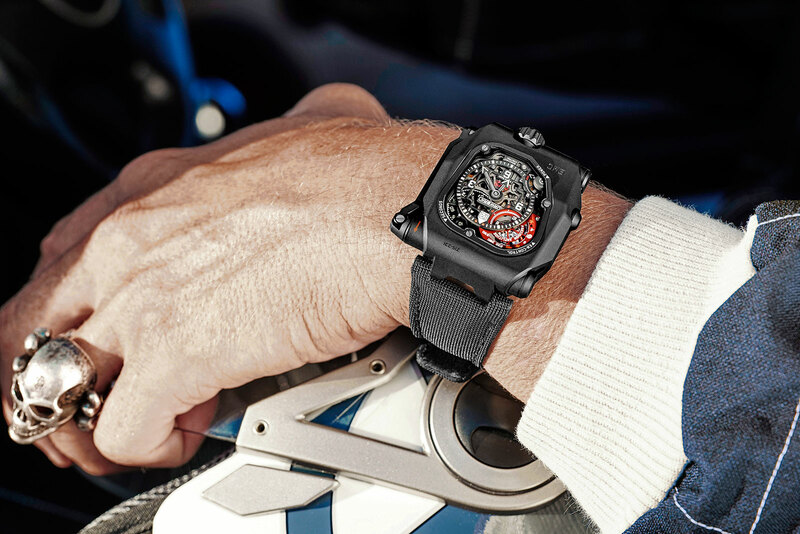 Urwerk's unique, self-monitoring EMC TimeHunter that fuses tradition and electronics is endowed with a skeleton dial. 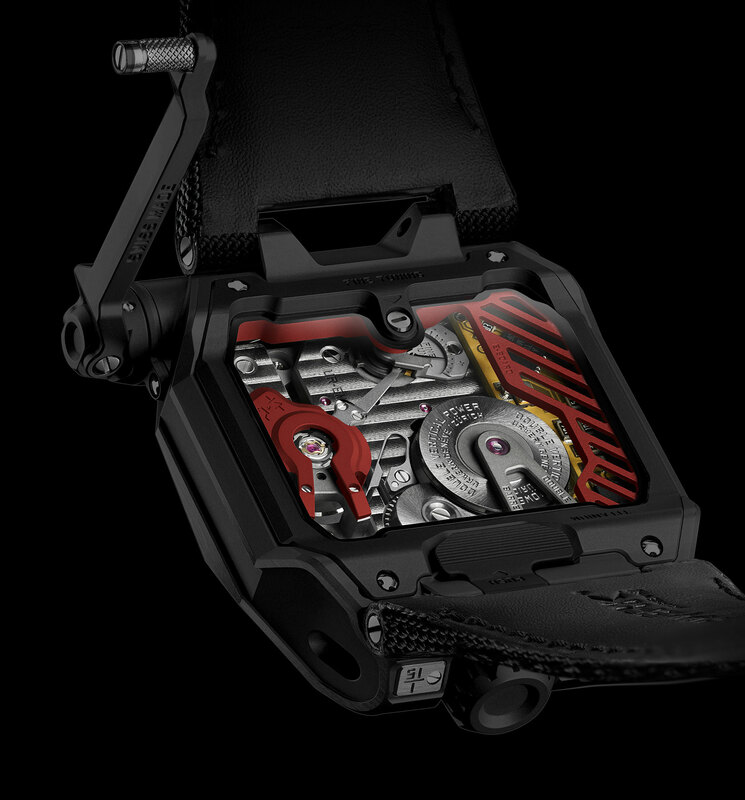 Fusing traditional watchmaking and electronics, the latest iteration of the Urwerk EMC features a skeletonised dial that reveals the mechanics of the movement. 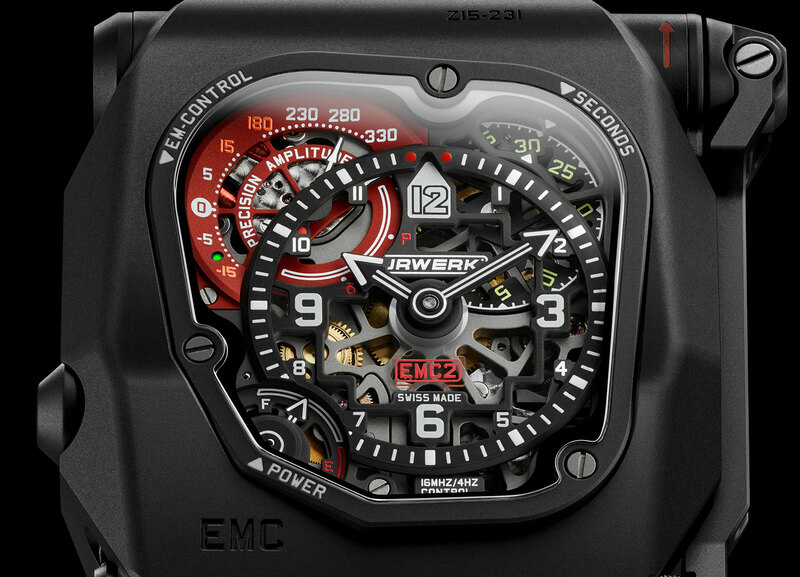 First introduced in 2013, the EMC attempts to perfect the old fashioned mechanical wristwatch with high-tech: an electronic rate monitor powered by a hand crank, which indicates whether the movement is running fast or slow, as well as if the movement is beating healthily (via the amplitude). If a rate error is detected, the wearer can then regulate the movement via a screw on the back, eliminating the need to visit a watchmaker as would be the case for ordinary movements when something is amiss. That being said, if something is wrong with the amplitude then the skills of a watchmaker are still required. 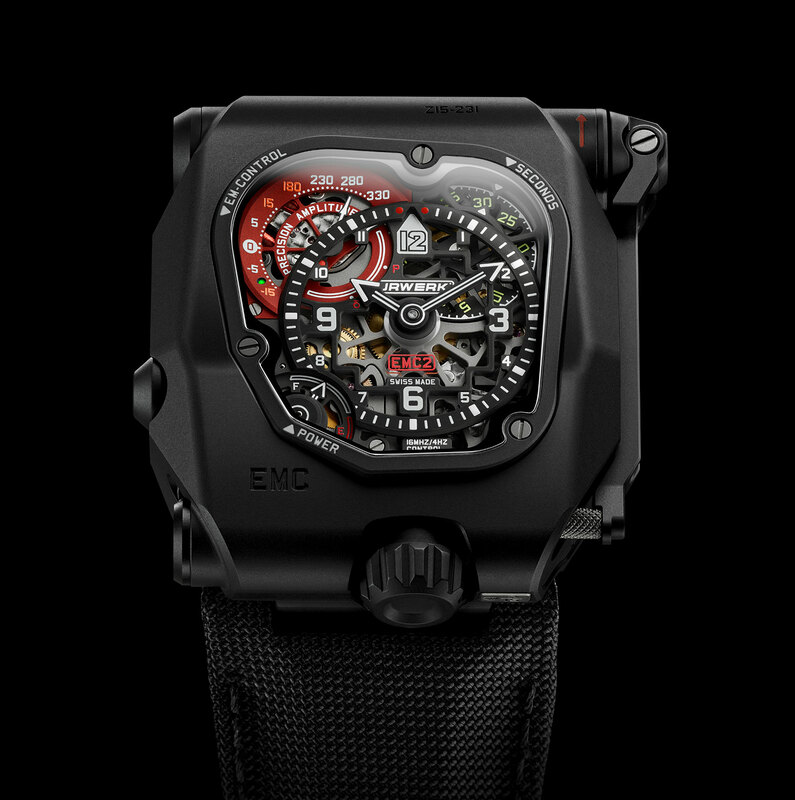 Despite being high-tech, the EMC is unusual for being the only Urwerk model that tells time the old school way: with a pair of hands. The Timehunter X-Ray is functionally identical to the earlier versions of the watch, with its key novelty being the open-worked dial. The time is shown on the central dial, while the rate monitor is at 11 o’clock, with the seconds at one o’clock. A small, fan-shaped scale at eight o’clock is the power reserve indicator for the 80-hour, hand-wound movement. The case is steel on the front with a titanium back, both coated with a matte black ceramic layer. It measures 43mm wide and 51mm long. 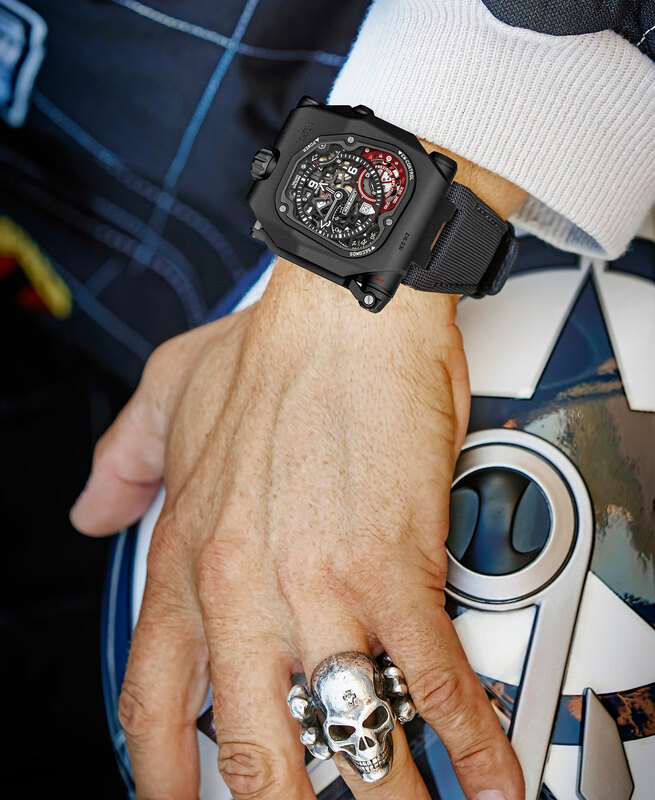 The X-Ray is a limited edition of 15 pieces, priced at SFr125,000 before taxes, or S$220,900 including Singapore taxes.